The fresh, piquant combo of lemon and parsley calls chimichurri -- a multipurpose Argentinian condiment/marinade/sauce -- to mind. The addition of soy sauce gives the steaks an umami boost, too. The flavor mix means these steaks play well with a wide variety of international cuisines, including South American, Asian, and Mediterranean. Tips: Steak isn't the only thing that tastes good with this marinade! Try it on poultry, fish, veggies, or even tofu. Need help on the grilling front? Check out Barbecues & Grilling Expert Derrick Riches' helpful step-by-step instructions for achieving steak perfection. Place the steaks in a deep dish large enough to hold them in a single layer. Or place them in a large zipper-lock plastic bag. In a small bowl or liquid measuring cup, whisk together the olive oil, lemon juice, soy sauce, garlic, and parsley. 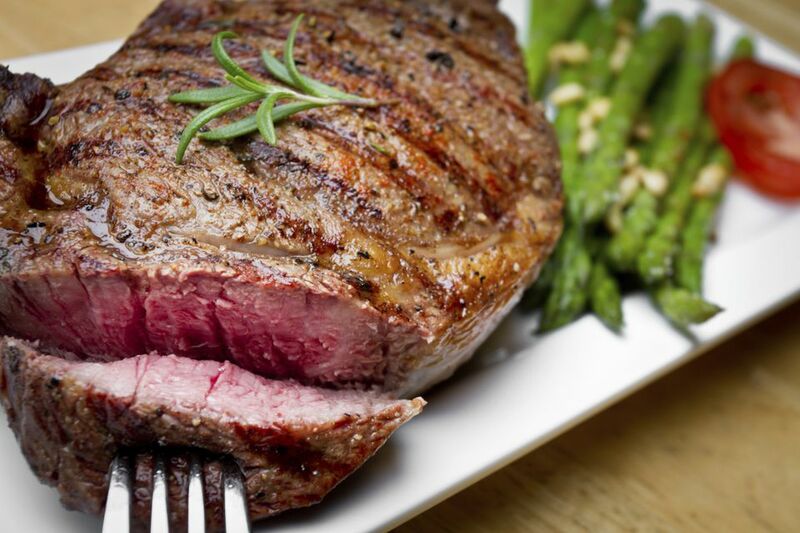 Marinate steak, covered or sealed, in the refrigerator for at least two hours or overnight. When grill is very hot, barbecue the steaks to the desired degree of doneness.